Delivers a balanced high protein, high carb and high calorie muscle gain meal to support a mass gain eating and training programme. 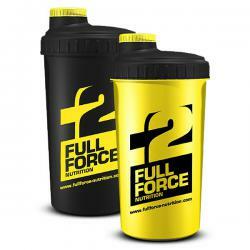 Complete nutrient support in an easy to mix and great tasting shake. 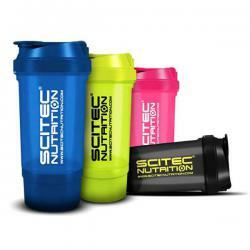 Nutritionally rich and balanced shake to be used in conjunction with a muscle gain training and eating plan. 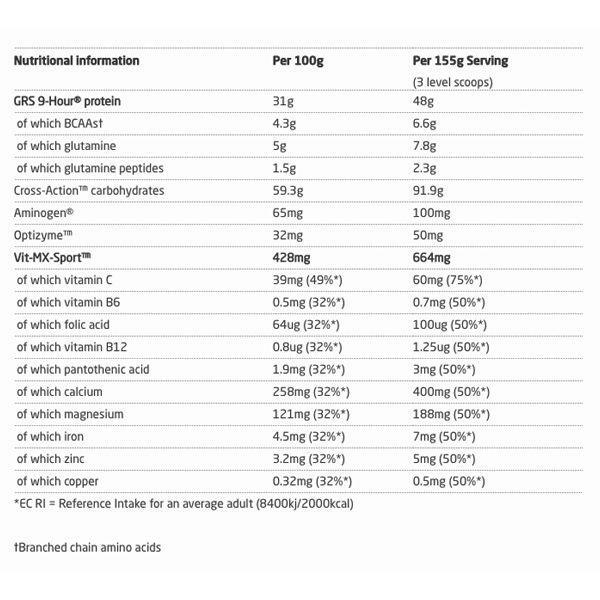 48g protein, 92g carbohydrates and 597 calories per serving contribute to mass gain. 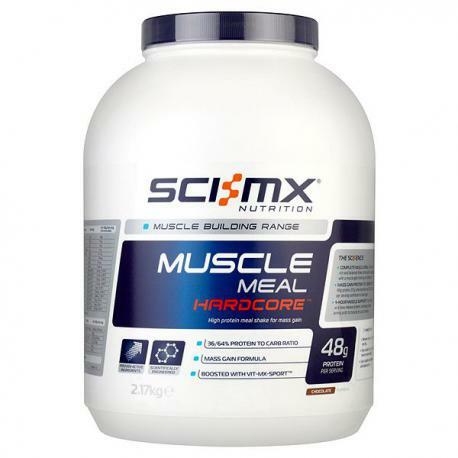 Fast, medium and slow release proteins continually deliver amino acids to muscle for up to 9 hours. Optimum levels of magnesium, calcium and iron contribute to normal energy-yielding metabolism. 50% RDA of vitamin B6 and B12 help reduce tiredness and fatigue. Vitamin C, zinc and copper contribute to the maintenance of a normal immune function. Add 3 level scoops (155g) with 450-500ml of water. Use between meals up to 3 times per day.